If you have come to the decision to buy a wig for yourself, you may be wondering if all wigs are the same. Can you just go to store pick out a wig and wear it home? The simple answer to that question is no. Wigs today come in a variety of shapes, sizes, colors and levels of quality. They are not simply a one size fits all. They can be customized to achieve the perfect fit for the person that will be wearing it. If you are someone that is going through chemotherapy treatment, your scalp can become sensitive. The quality and fit of a wig is very important. To help you get started in the right direction we have gathered some key thing to keep in mind as you shop for a wig. There are basically two hair types when it comes to wigs; synthetic hair and human hair wigs. Each of these two types of hair will offer different qualities in appearance as well as different care instructions. Synthetic hair wigs are less expensive than you would find with natural human hair wigs but they do have some restrictions. Synthetic wigs can be more difficult to style because the material they are made with is not safe to use with hot styling tools. They also tend to be heavier to wear than you would find with a human hair wig. You can style Human hair wigs just like you would you own natural growing hair. Curling irons, straighteners are fine to use on them. You can achieve a more natural look with them. Weft Wigs: Weft wigs are the least expensive and most accessible option. Weft wigs are machine woven, so they are easier and faster to produce. Because these are not hand tied, You get the least nautral appearance and fit with these wigs. Lace Front: A lace front wig is made partially of lace and of another, more thick material. The hair at the front of the wig is hand-tied into a lace material to give it a natural looking hairline. The benefit of this type of wig is its natural appearance and high-quality. The main drawback is the fact that they lace doesn’t continue to the back of the wig making hairstyles like updos an issue. Lace Cap: If you think the lack of a lace in the back is an issue, you can get a full-lace cap instead. This type will provide you with a more natural all-around appearance. The drawback is it will provide you with less support in the back and the wig will cost more. Monofilament: A monofilament wig is similar to a lace front cap. The individual hairs are hand tied to a nylon lace cap. The material is such that it provides a very natural appearance. These wigs have a much higher cost but you get superior quality. When you wear a wig it’s important that your hair be comfortable and beautiful. Know how you want your hair styled and make these preferences known. Do you like bangs? If you do, let the stylist know. Talk to them about your desired color and what you want the final product to look like. With human hair wigs, there are so many natural colors available. If you want the most flexibility when it comes to styling your wig, you should go with a wig that is made from 100% human hair. To get the most natural look out of your wig it is important to have your wig custom fitted. A wig that is too big will slip, and a wig that is too small will be uncomfortable to wear and will look unnatural. The goal of a wig is to give the appearance of natural looking hair. To get this you need to be fitted just like a fine suite. Your stylist will work with you to find the right fit for you. If you get a great fit and later on you find something isn’t quite right, make sure to give your stylist a call. They are always happy to help you so you get the fit that is perfect for you. Different wigs have different care instructions. A synthetic wig will require less maintenance when storing or styling your wig. You can usually store it however you like and not worry too much about it losing its shape. Also, they do not need to be shampooed or conditioned. When it comes to human hair lace wigs or monofilament wigs, they require a bit more care. The material can tear or develop creases which can be quite difficult to repair. This type of wig should be stored on a wig stand or mannequin head. They also require regular shampoo and conditioning. Wigs aren’t anything like they use to be and this is a really good thing. Many of us may remember having grandparents wearing artificial wigs. They never blended in with their existing hair very well, they were hot to wear and heavy. Thankfully, today’s wigs and hairpieces are crafted from quality synthetic or human hair and you can get them in a variety of styles. Here is a guide to wigs and hairpieces, which to choose, and when to wear them. There are numerous reasons that men and women may look to synthetic and human hair wigs and hairpieces. 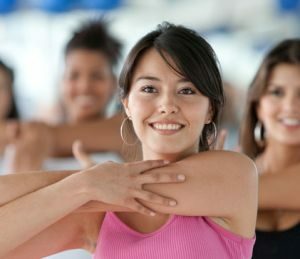 They can range from medical conditions that have caused sudden hair loss, naturally thinning hair, or it could be an urge to simply change their look. All of these examples are valid reasons. Just so you are aware, a wig refers to a full head of hair, where as a hairpiece might refer to extensions for length or volume or perhaps a sectional piece like a ponytail, bangs or a crown cover. There is no question that wigs are a perfect option for women who have severe hair loss from chemotherapy or from conditions such as alopecia or lupus. They give you a full head of hair and they can also give you a new look immediately. Because of the old stigma with wigs a lot of people think of that when they hear wigs, but these days wigs look and feel natural. They are available in a large range of colors and lengths. One of the best features is that they are extremely light, breathable and comfortable. Human hair wigs can also be washed, styled and blow-dried so this gives you lots of options. If you are looking to add some length to your existing hair, a hairpiece would be what you would want. They can be a real lifesaver for those experiencing significant thinning hair or partial hair loss. One of the best options for these cases is a hairpiece for the crown (also known as a topper or toppette). Quality hairpieces can be blended with your own hair to provide volume and cover imperfections. Today you have options when it comes to wigs and hairpieces. They are available as ready-made or they can be custom made. Either way they can be tailored so they are perfectly colored to match your existing hair, style preference and lifestyle. Hair extensions are another consideration as they bond to existing hair and the latest bonding treatment even allow for you to enjoy activities like swimming. There are also clip-in hairpieces that allow you to remove the hairpiece when just relaxing at home or sleeping. In Hollywood, changing your hair style is like changing your clothes. Wigs have been around for centuries as a symbol of social status and for cosmetic and beauty purposes. Today’s 100% natural human hair wigs are so beautifully made and crafted with such detail and skill it is virtually impossible to tell them from real hair. Wigs, over the years, have received a bad reputation, and the reason is quite simple: In order to hit certain retail price points, corners have to be cut and quality and appearance suffers. The result is something that looks unnatural and is anything but flattering to someone wearing it. But carefully crafted human hair wigs that are specifically designed for women (and men) with alopecia or thinning hair are wigs of a different breed altogether. Made with a cap that is designed to be lightweight, comfortable and not irriate a sensitive scalp, and painstakingly created with the look, feel, and flow of natural growing hair. these wigs are wonders to behold and wonders to wear, particularly on a daily basis. It is quite literally almost impossible to tell the difference from a fine human hair alopecia wig and a persons natural growing hair. The result is a natural, wonderful looking full head of hair that makes you feel good about yourself and proud to hold you head up high. For women and men suffering from hair and scalp conditions such as Alopecia Areata, or undergoing medical treatments such as Chemotherapy that cause hair loss and thinning hair, natural 100% human hair wigs are absolutely appropriate for keeping your hair issues private and for getting on with your daily routine, career and life. And wigs can offer the freedom and flexibility that regular hair styling cannot. Wigs can help you save money. If cared for properly, a 100% human hair wig can last for many years. Compare to the cost of a new hairdo every few weeks and it’s easy to see that wigs can not only help you change up your look when want, but they can also be less expensive in the long run when you consider the annual cost of visiting a stylist when you want to change your style. Wigs can Cover Hair Loss and Scalp Issues. Women and men with genetic or medical conditions that cause hair loss and thinning hair – from alopecia, to trichotillomania, to chemotherapy and other causes – find human hair wigs to be a true Godsend. Wigs can let you keep your hair loss private and let you get on with your life and career without the constant stares at the top of your head when you are out in public or talking to co-workers or supervisors who may be wondering if you are sick. 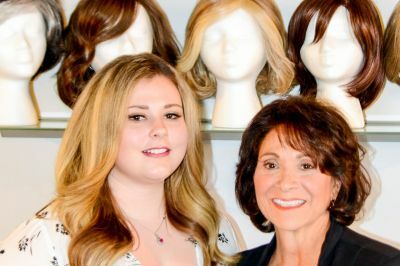 When you talk with one of our professional North Shore Wigs by Sylvia wig stylists, she can help you choose and design the perfect wig for you and your type of hair loss or needs. A high quality human hair wig is an investment in yourself and for years to come. If you are thinking about getting a wig, talk one of our knowledgeable North Shore Women’s Wigs specialists to make sure you are happy and satisfied with your wig when you get it. They will help you choose the perfect wig for you, make sure it is styled and cut specifically for you, and teach you how to care for your wig so you will enjoy it now and for many years ahead.